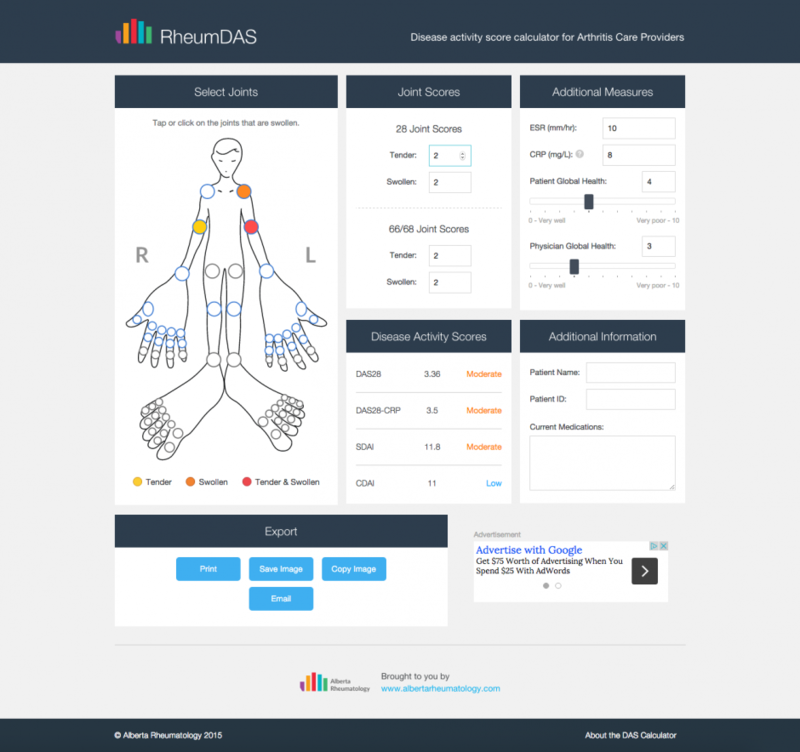 RheumDAS is an online interactive disease activity score calculator for arthritis care providers, conceived by the health care providers at AlbertaRheumatology.com. 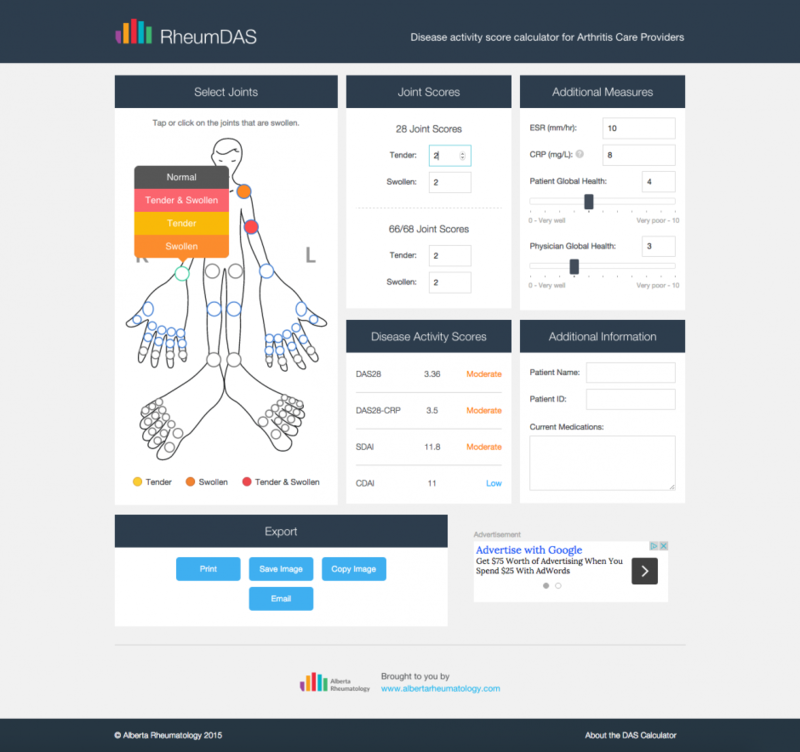 Based on validated tools to measure disease activity, the goal is to provide a tool for clinicians that will enhance the care they are able to provide to their patients with inflammatory arthritis. Project Summary: We worked with health care providers at the University of Alberta to create a web-based digital version of the pen and paper disease activity score calculation process, incorporating many useful features such as an interactive joint marking process, the ability to generate a score chart as an image and copy, paste, save the image, or even email it for your records. The tool is mobile-friendly and works seamlessly across devices.